This year's Safari Zoo Run took place on Sat, 18 Feb 2017 and raised a total of $100,000 additional funds for the Sumatran orangutan, Sumatran elephant, as well as the helmeted hornbill and turtle projects in Southeast Asia. 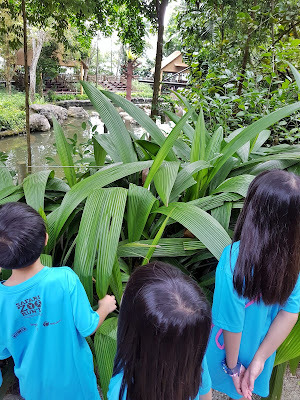 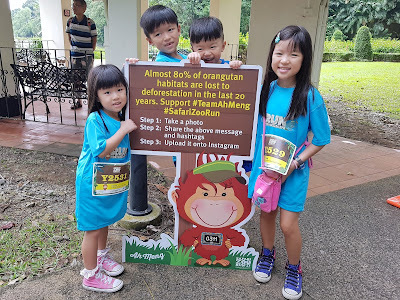 There was a competition of sorts, with runners choosing one of the 4 teams represented by each of the park icons, Singapore Zoo's Ah Meng, Jurong Bird Park’s Sunny the hornbill, Night Safari’s Chawang the elephant and River Safari’s Canola the manatee. It is really a race against time as well, for us to do something worthwhile before the endangered creatures get wiped out by our actions. 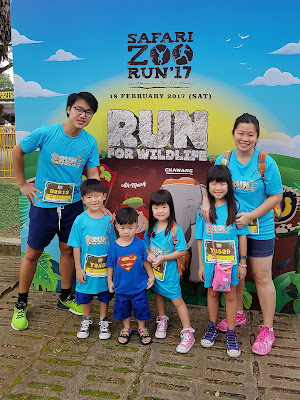 We run like for animals! 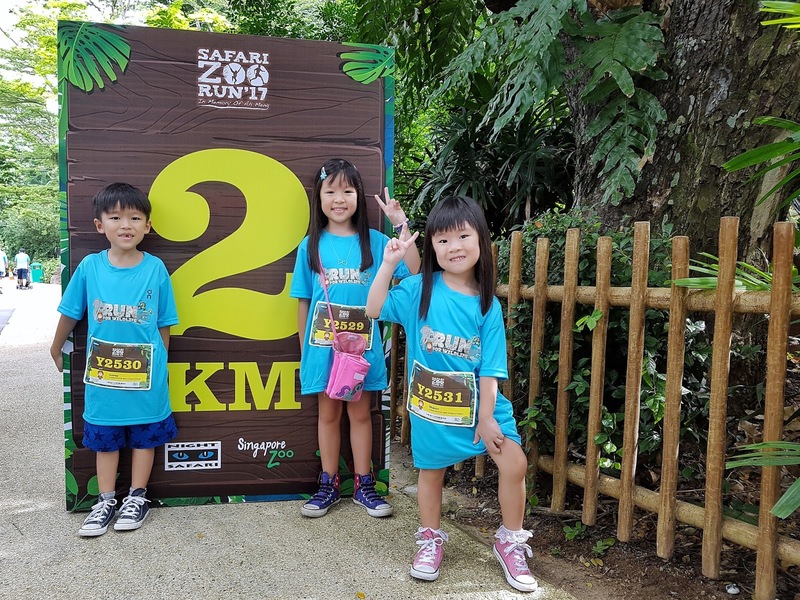 The main difference between the Safari Zoo Run and the other runs that we go too, would be number of distractions along the route. We took the 2.5KM fun route and it was over an hour before we crossed the finishing line. 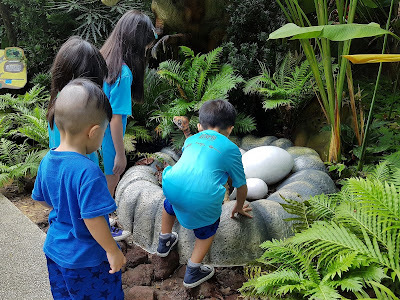 The kiddos would stop by each of the animal exhibits and that took quite a while. 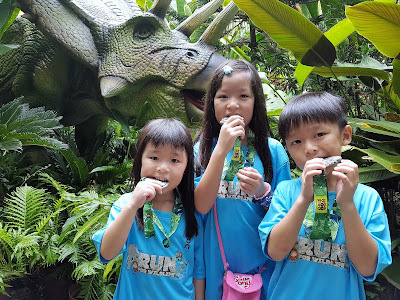 Not that I am complaining though, because I ain't no runner too! 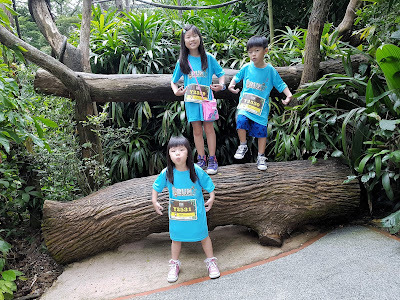 So it was a truly enjoyable Sat morning spent in the Zoo for the whole family. When the orangutans are busy, we can always take over for the photoshoots! So what about those who decided to go competitive and zoom pass all the exhibits? 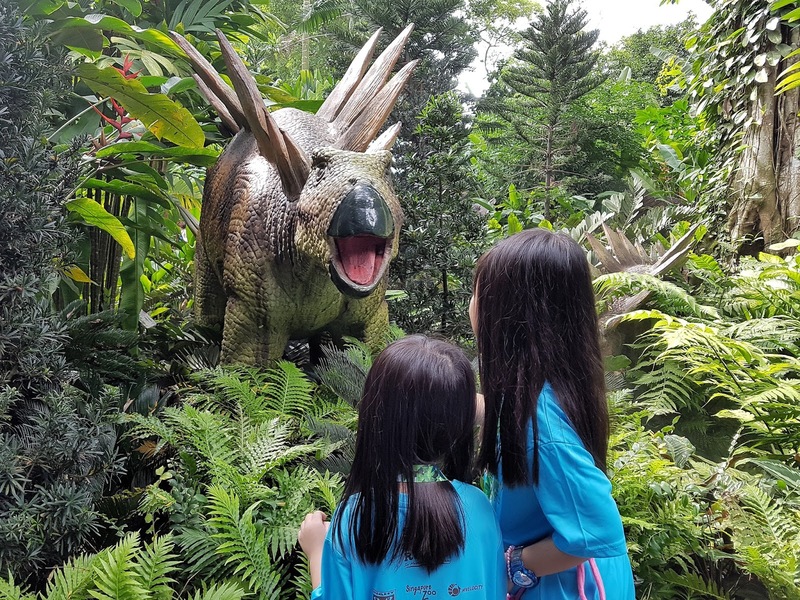 Well, everyone with a bib gets to enjoy free admission to the Singapore Zoo and River Safari on the same day, as well as 50% off tickets into Jurong Bird Park and Night Safari till 31 Mar! 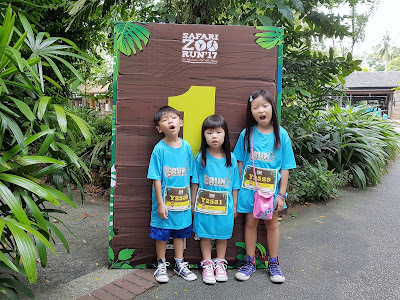 Thus everyone gets to enjoy a great day at the Zoo following the run in the morning! 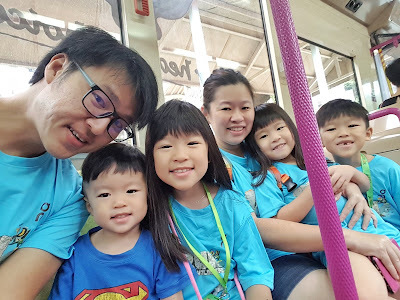 Alright, made of real metal! It was no surprise when Team Ah Meng came in tops with almost 30% of runners choosing the Singapore Zoo's mascot. 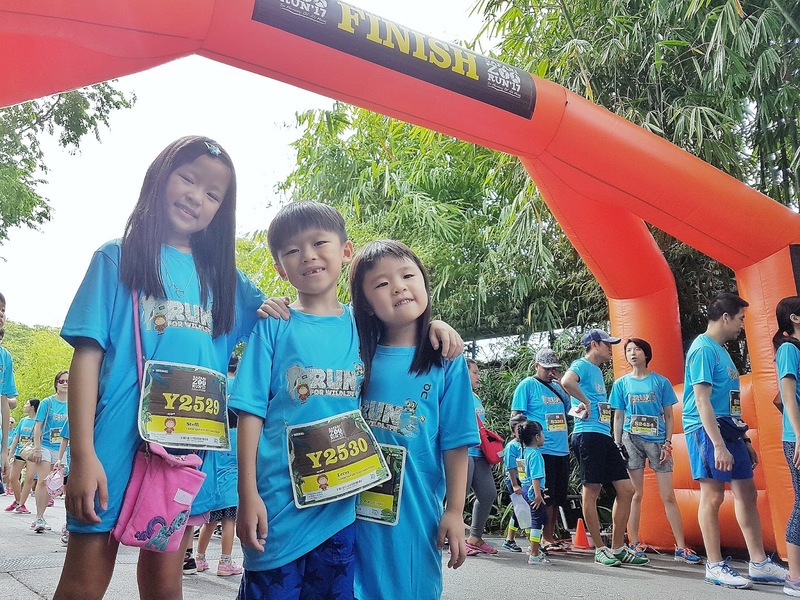 The Safari Zoo Run was after all, conceived to commemorate the Singapore Zoo famous matriarch! 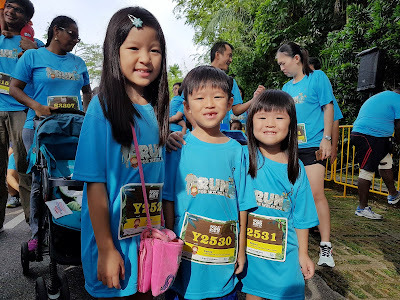 It was definitely worthwhile waking up early and getting that little bit of a workout for the whole family. 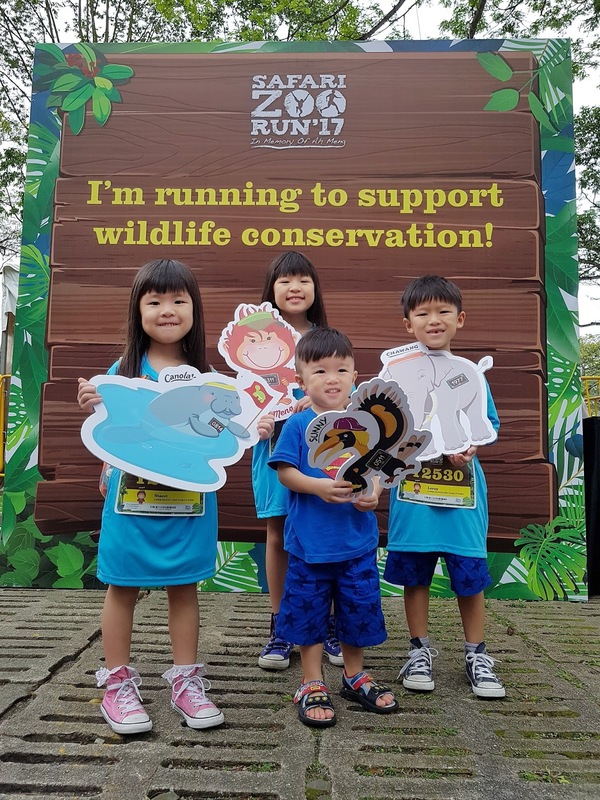 Thank you Wildlife Reserves Singapore and Safari Zoo Run for having us at the event and we sure look forward to the next instalment!